Starting September 9th. We are providing a training program for High School athletes (9-12th grade). We feel that high school players that love the sport or still will want to play club volleyball should have the opportunity to train in the Fall in preparation for club or because they would like to continue to improve. This training is open to all HS athletes regardless of club experience or club affiliation. New PSR Rules allow for HS players currently on a HS team to participate as well. Practices: Time is TBA based on our youth program/Fall Academy enrollment. Eastside Practices are Sunday/Monday. Sunday practice times are in the afternoon and Monday practice times are after 6:00 PM. Practices are held at Eastside Christian School, and Newport HS OR Tyee MS in Bellevue. Athletes will work together as a training group with our coaching staff. We can accept up to 24 total athletes in this program per location. Focus on the program is to skill improvement, small group training, and some competition; we want to help athletes stay sharp and/or receive additional training outside of their HS practices. Athletes are expected to attend all training programs and fully participate in training and scrimmages. Speed up the check in process: e-mail Proof of USAV membership, Medical Release, and Cardiac/Concussion form to billing@volleyballnw.com or fax it to (425) 671-5020 by Thursday, August 30th. Otherwise, bring it to your first practice. IF YOU HAVE NOT FAXED OR E-MAILED THE ABOVE LISTED PAPERWORK TO THE BUSINESS OFFICE BY THURSDAY, AUGUST 30TH, THEN YOU WILL NEED TO BRING IT TO YOUR FIRST PRACTICE. Normal practice gear is usually non-marking shoes, comfortable tee, spandex shorts (usually) kneepads – and a water bottle. *If you have not turned in your paperwork by the deadline, then you will need to bring your paperwork and proof of USAV membership. 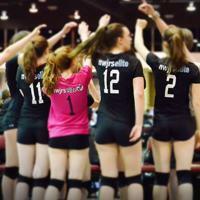 If you played on a USA Volleyball club team during the 2018 season, your full junior membership is already secure through October 31st, 2018. If you did not play for NW Juniors during the 2018 season, please be sure to email us a copy of your membership card. If you don't have a copy of your membership, go to the USAV Membership Login Page and enter your personal Username and Password. Once you are on your personal page, look to the left column, and click "Print Membership Card" and print that page. That is your USAV Card. Print out an extra copy for yourself and keep it with you... just in case. Summer membership became available in May and continues through October 31, 2018. 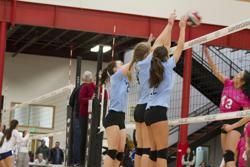 Many athletes that did not play club, but participated in summer activities like camps or beach tournaments secure this membership for a partial season. Cost for this membership is $25 and is still available. Fall League membership is not available for HS-aged athletes. Please note that if you are trying out for a junior club in November (for the 2018-19 season) you will still need to secure a tryout membership. Tryouts for U12-14 begin 10/27/18.